2017 was one of the strongest years the video game industry has had in recent memory, with both hardware and software thriving in an incredible way. With the Nintendo Switch almost a year old, the PlayStation 4 Pro and Xbox One X well and truly in circulation, and a number of huge titles on the horizon, 2018 is shaping up to be a year of consolidation, in which the games industry can build on last year’s successes to have an even stronger year. With that in mind, the Doublejump Staff took a seat to talk about the games that have us most excited this year. Sit back, relax, and enjoy the read! John Marston is part of a rare breed: a likeable and earnest Rockstar character. I really felt like he was remorseful for his past and simply wanted to lead a peaceful life with his wife Abigail and son Jack. However, his past crimes came back to haunt him, as he was forced to work for the government to track down his former gang leader (and character in Red Dead Redemption 2) in exchange for apparent freedom. His tragic story arc and the characters and locations that it involved were some of the most loved by players of the time, so it is with great excitement that I look forward to Rockstar’s latest Western tale. My main concern is that protagonist Arthur Morgan, who has been depicted in trailers as a ruthless outlaw, falls into the trope of one-dimensional ultra-violent Rockstar main characters that have starred that just rub you the wrong way. Sure, the footage and screenshots shown so far look stunning, but a living world is no good when it plays second fiddle to a dead character. The first game felt alive in many ways, and I sincerely hope that Rockstar honours its legacy with an equally memorable experience. The Monster Hunter series has been around for more than a decade, taking its hunt to anime, card games, comics, manga, film and — of course — video games, and it’s built up quite the reputation. Monster Hunter: World doesn’t reinvent the wheel, so to speak, but it does build on the foundation that’s been set out for it in the past, and refine it to near-perfection. Although the game has already been released on PlayStation 4 and Xbox One, PC gamers are still waiting for its release later this year. Critics have praised the game for its redesigned worlds and gameplay, which now allows players to explore open-ended worlds with adaptive monster AI, rather than the zoned-off areas players have grown used to. With plenty of new monsters and experiences still to come, Monster Hunter: World is shaping up to be one of the most exciting and unique gaming experiences of the year for veterans and interested first-timers alike. Sea of Thieves has a winning formula right off the bat, being an open-world, multiplayer pirate game developed by Rare. The game looks ready to deliver everything I expect from a game about piracy; plenty of treasure, sword-wielding skeletons, and the ability to launch my friends out of cannons. Couple those with the unique art style and some beautiful water physics, and the pirate’s life looks more and more appealing. Sea of Thieves was an unlikely title, bringing Rare back onto the scene for the first time in over a decade, but from what I’ve seen, it looks set to be an absolute hit. I’m very excited for it, and I’m excited to see what this means for Rare in the future. Also, you know… the cannon thing. It feels like it’s been an age in the making, but Warhorse Studios’ ambitious, sprawling medieval RPG has almost arrived. Taking the Elder Scrolls series’ first-person roaming adventuring, stripping out the magic and throwing in a heavy dose of realism, Kingdom Come: Deliverance has been conceived as a very different kind of RPG. Where many modern games make tracking a simple case of ‘activate the special mode and follow the glowing trail’, for example, KC:D puts the onus on you to look out for telltale signs of your quarry — signs of disturbance, damaged fences or gates, anything a fleeing person may leave as signs of their progress. Combat is dense, complex, and from the looks of it rock-hard, with careful timing and defensive smarts essential for survival. What’s more, its extensive skill trees promise a huge potential for character customization, allowing for wildly different paths to success. Time will tell whether KC:D’s ambitious mish-mash of systems will hold together, but the potential is huge for a smarter, more considered take on historical roleplaying that could make for an amazing roleplaying experience. It’s been well over a decade since we last had a truly good Spider-Man title — 2004’s Spider-Man 2 — so it’s probably understandable that this Spider-Man fan has been so excited for Insomniac Games’ upcoming attempt that I’ve Googled it every day since it was announced in search of even a tiny bit of new information to fawn over. Of course, we’ve only had brief glimpses at the game so far, but between the sprawling and fully alive open world, the Batman Arkham-style action and mechanics, and the stunning graphics, those brief glimpses have been full of promise. 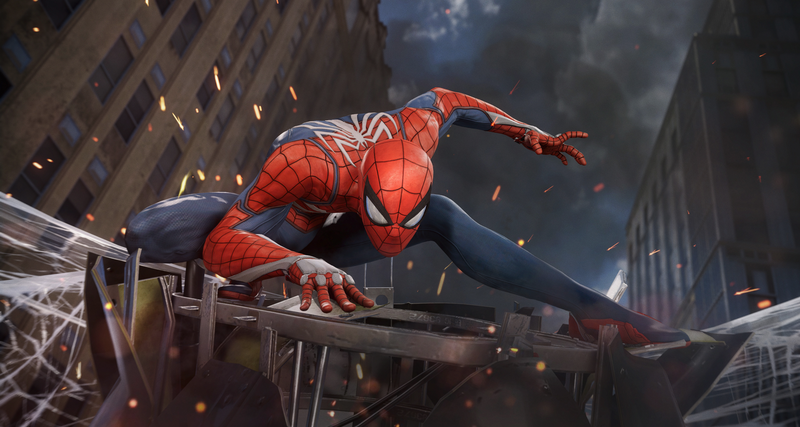 One can only hope that after all this time, Insomniac finally manages to do the web-slinger some justice; my only concern for the title thus far is that being a PlayStation 4 exclusive, it may not have the same reach and reception that I’m willing to bet it will deserve. Story-driven titles are always more than welcome in this day and age, especially when they come from a developer like Quantic Dream. Given the studio’s talent and pedigree, as well as the futuristic setting and the fact that it’s one of the best-looking games the PlayStation 4 has seen so far, there’s so much to be excited about when it comes to Detroit: Become Human. Players will control Androids as they investigate and solve crimes, encouraged to leave no stone unturned as they search for the clues, evidence and information they need in order to achieve a favourable outcome. Based on a short demo Rhys got to experience at PAX Australia, it looks like the game will force players to make quick decisions that not only impact the current case, but the game as a whole; playing as androids and harnessing their abilities to help make those decisions makes it all the more enticing. I’m ashamed and embarrassed to admit that despite all of the great things I’d been told about it, it took me four years — and a lot of prodding — to finally play through The Wolf Among Us’ first season, but I’m so glad I did. In more than 20 years of video gaming, I’ve never been captivated and intrigued by a story in the way that I was by Telltale’s masterpiece; coupling a phenomenal story, told in a phenomenal way, with a brilliant art style and inspired performances from its cast, The Wolf Among Us quickly became one of my favourite games of all time despite its relative lack of action compared to the games I normally gravitate towards. Although it took Telltale quite a while to announce this second season, the way the first one ended made it inevitable. Bigby and the player still have a lot to learn about Fabletown and its inhabitants, and I’m interested to see where Telltale will choose to let players take the story. It also helps that my wonderful girlfriend is a bigger fan than I am; it’s always great to find a game that we can share. As soon as I finished playing through Ni no Kuni: Wrath of the White Witch, my thoughts travelled onto just where Level-5 might take the story next. Reputable as it is, I’d never heard of the developer until Ni no Kuni was released, but I was absolutely stunned by its quality. The game looks and feels amazing, even to this day, and it reminded me so much of Pokémon — one of my favourite titles of all time — but with Studio Ghibli’s adorable art style and a fantastic open world to explore in third person. Level-5 is keeping that same beautiful visual style alive in Ni no Kuni II: Revenant Kingdom, and based on what the studio has shown us so far it appears that combat will play out in real-time instead of being turn-based, which is a huge bonus. With all of that aside, though, the game is coming to PC, where those beautiful graphics will surely be all the sweeter, and that’s the biggest plus in my eyes. I’m one of those die-hard Kingdom Hearts fans who actually thinks the series’ story is quite easy to follow; stick me in a room with people who think otherwise, or who’ve never heard of the series, and you’d best believe that they’ll understand it completely (and think I’m utterly insane) by the time we’re done. Whether that’s due to repetition, obsession or both is up in the air, but to say that I’m excited for Kingdom Hearts III is a gross understatement. The first “mainline numbered title” in the series in more than a decade now, Kingdom Hearts III has been on my radar for years upon years. Although it’s still quite early to say so, the trailers we’ve seen at Tokyo Game Show 2017 and the Kingdom Hearts Orchestra Tour have made it look to be a masterpiece in the making. It also looks like it’ll be another success in the realm of combining Disney and Final Fantasy; it’s the result of many, many years of planning experimentation, so we can only hope it will be. As a gamer who holds the series very dear to my (Kingdom) heart, I can only hope that the tentative 2018 release window announced at TGS holds true, but I wouldn’t be mad if it took another few years… As long as the (ridiculously long) wait is worth it in the end! Considering that so many of our staff members were torn between multiple titles, we just know that there are some titles we’ve missed on this list. 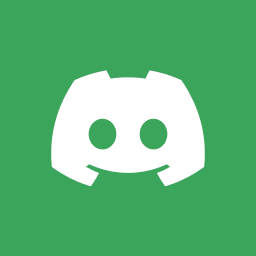 Feel free to get yourself involved in our community and discuss what you’re looking forward to!